Overall quarter-over-quarter renovation confidence is high coming into 2017. Architects and specialty landscaping firms report the highest level of inquiries. The report, which records differences in year-over-year and quarter-over-quarter market improvements, showed high first-quarter readings, ranging from 68 to 75 out of 100. According to Houzz, this year’s quarter one numbers are in line with 2016’s report and set the stage for a robust year. The 2016 Q1 barometer showed 3 to 18 percent quarter-over-quarter increases in optimism and confidence from the final quarter of 2016. Landscape specialty firms led the way with the highest number of inquiries (88) and number of new projects (90). 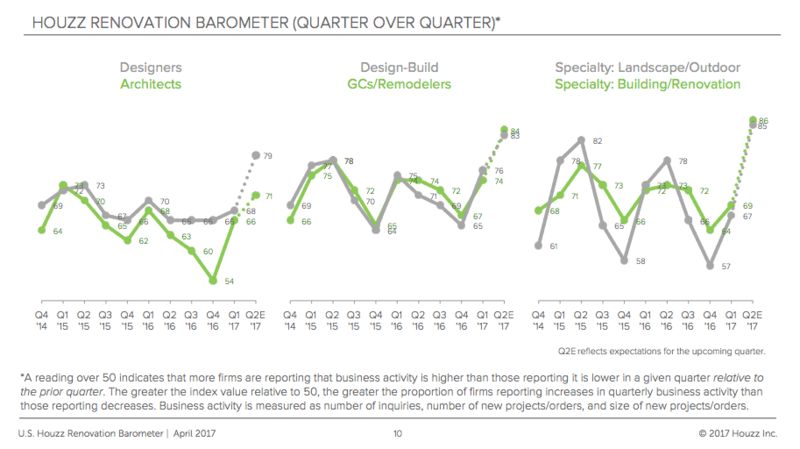 Building and renovation specialty firms reported the largest spike in the size of new projects (81). In terms of the variances among the four major regions, firms in the Northeast reported the least amount of confidence in the market. 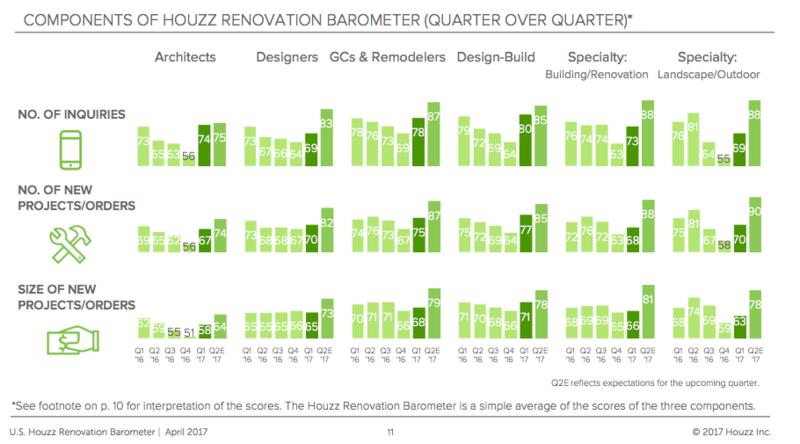 Out of all the categories, building and outdoor firms had the weakest confidence with a score of 65. Houzz says the low numbers are most likely due to a flurry of winter storm activity. 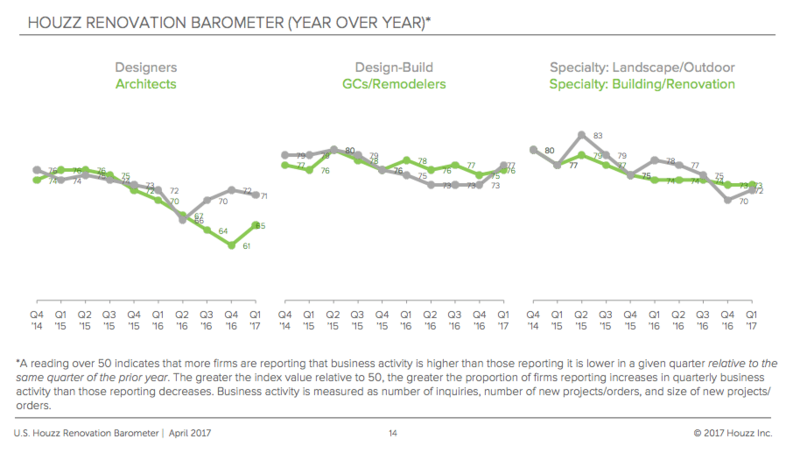 Despite a slump in confidence in the Northeast, year-over-year market gains in confidence continue to be steady, except for the design industry reporting slightly weaker scores from the first quarter of 2016.